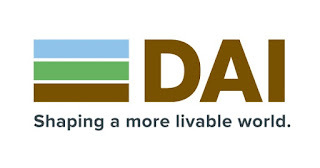 DAI Global, LLC is implementing the Feed the Future Tanzania Land Tenure Assistance activity (LTA) funded by the USAID, based in Iringa. This four-year project will assist 41 villages in Iringa and Mbeya Districts to register land ownership by issuing CCROs, support village land use planning efforts and increase local understanding of land use and land rights. To accomplish the project objectives, DAI Global, LLC Feed the Future Tanzania Land Tenure Assistance (LTA) seeks to recruit a committed and dedicated candidate to fill the position of Administration Assistant based in Iringa. The Administrative Assistant is responsible for the financial, clerical and administrative tasks in LTA office. S/he will handle petty cash disbursements, advances, and maintain accurate records of payments and replenishments. S/he will also provide assistance to the LTA team to maintain daily office functions. This position will work collaboratively with local and home office staff, and report directly to the designated project Finance and Operations Manager. The Administrative Assistant may perform any other related duties as assigned. • Ensure that proper approval signatures are obtained and that both parties: Payer and Receiver verify the cash amount of the transaction. • Accurately record petty cash transactions and report disbursements weekly to Finance and Operations Manager. • Handles routine administrative tasks, to include reception, calls, mail, and electronic communications and routing messages and information to appropriate individuals. • At least two years of administrative experience, preferably with an international organization. • Previous experience with financial duties, including handling of petty cash.